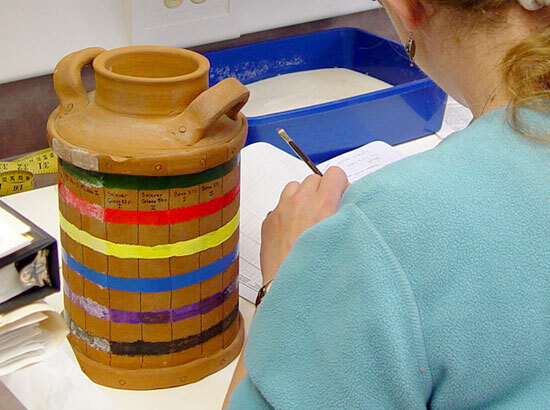 Art conservators attempt to protect material objects of all types from further degradation. 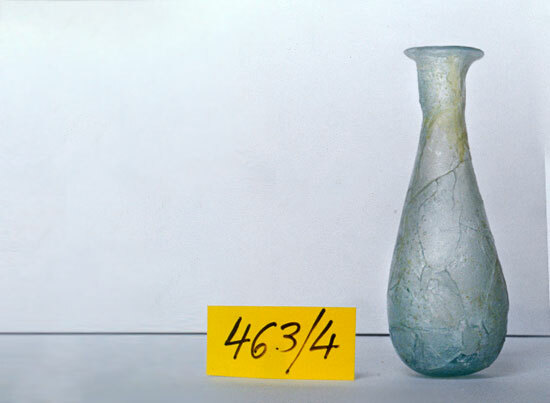 This requires not only a knowledge of studio art and conservation techniques, but also of the chemical, biological and physical factors that cause works of art to deteriorate. What is the Museum Conservation Program? After completing the Museum Conservation degree, some students may wish to apply to enter a graduate program to become an art conservator or continue in museum studies. 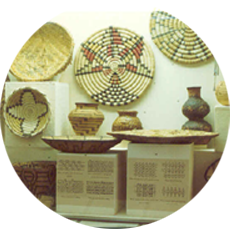 GRADUATE STUDENTS can also take the museum conservation courses at the graduate level as elective classes or as part of the MUSEUM STUDIES CERTIFICATE at NMSU, in order to learn curatorial work and collection managing with fundamentals in conservation and preservation. All four of the above courses can also be taken for graduate credit at the 500-level. ANTH 345. Introduction to Museum Studies 3 cr. An undergraduate minor in Museum Conservation requires the completion of 9 credits of the three 400-level museum conservation courses listed below, and 18 credits of the courses selected from one of the tracks listed below (Track 1, Track 2, or Track 3), for a total of 27 credits. The Certificate in Museum Studies is a 3-semester (or one year + summer) program designed for individuals who want to enhance their understanding of museum work but do not need a master’s degree. Many of our students also complete a certificate in conjunction with a Master’s degree in Public History, History, Art History, Anthropology, Studio Art, or other disciplines. The Certificate requirements include 18 credits, 12 of which are required and 6 are selected from a list of controlled electives. If you wish to complete a graduate certificate, you must apply for admission to this non-degree program. Even if you already enrolled in a graduate program at NMSU, you will need to complete a separate application to be admitted to the certificate program. . Once you have been admitted to the program and have completed all of the necessary coursework, you will need to file a Completion of Graduate Certificate form to be awarded the certificate. Additional electives may be accepted if pre-approved by the Department Head of Anthropology. Talk to your advisor first to decide what electives you should take. If there are discrepancies between your transcript and the results of your STAR degree audit for this certificate program, please contact your Department Head ASAP. New Mexico State Museum Conservation Program student, Elena Mars, got accepted at the Buffalo State University Conservation Graduate Program. A second NMSU Museum Conservation Program student, Sydney Schaffer, was accepted at Queen’s University for the Masters in Art Conservation. And a third student, Brittany Wallace, was also accepted for the master’s in conservation at the University of Lincoln in UK. 2018 Josefina Maldonado– restoration of a set of Assyrian reliefs in northern Virginia as part of a Paid Pre-program internship in West Virginia with the National Park Service. (National Council for Preservation Education (NCPE), Academic Year 2019 Internshipswith theNational Park Service (NPS), the Department of the Interior (DOI),General Services Administration (GSA), and Department of Defense (DOD)). Summer 2014Internship at the Smithsonian Institution, National Air and Space Museum.She was also selected for an interview for the Conservation Program in SUNY Buffalo. Currently working at theSmithsonian Institute, National Air and Space Museum. 2013 –Interning a whole summer at the Conservation Department of the Buffalo Bill Historical Center in Cody, (WY).Several months working for a painting’s conservator in Hawaii. 2010 Internship at the Library of Congress, in Washington D.C.and Internship at El Paso Museum of HistoryandThe Magoffin Home. 2017 Summer – Elena Mars– went to New York City to work under the direction of John Saundersfor the restoration of the New York City’s Monuments Project. The monuments restored were the following: Mozart; Thomas Moore; Von Webber; Washington Irving; Ludwig Van Beethoven; Edvard Grieg, Alfred Lincoln Seligman, Harriet Tubman, Carl Schurz, Woman’s Health Protective Association, Lafayette and Washington, Brooklyn War, William Jay Gaynor, Abraham Lincoln, George Washington, Marquis de Lafayette, Independence Flagstaff, Slocum Disaster, Temperance Fountain, Samuel Sullivan Cox, Dvorak, Stuyvesant, Giuseppe Garibaldi, and the Washington Square Arch. 2017 Summer – Brittany Wallace– went to Elvas (Minas Gerais), Brazilto work under the supervision of conservator Carlos Magno de Arau join his conservation studio where she restored a 15th to16th French paper-mache life size image of Christ. Magno is a well-known Brazilian conservator especially in the area of São João del Rei. 2017 Summer – Hailey Jung– went to the Anchorage Museum in Alaska where she worked with the Native American collections as part of her research for her Museum Studies thesis. 2015 – present , Barbara Bogucki accepted the position of curator at the Tahoe Maritime Museum where she serves as historian, collection manager and exhibition developer. She also gave back to the community by serving as adjunct faculty at the Fallon, Nevada Naval Base for two semesters and will continue to pursue opportunities to teach in higher education. 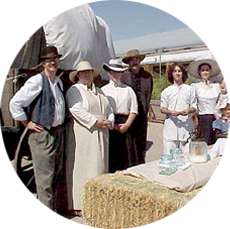 2013 – Kate Moorehead– curator at the Buffalo Gap Historic Village, Abilene, TX. 2013 Norma Hartell– working at the Border Book Festival, Inc. in Las Cruces. 2013 Ereka Prevot– A whole year studying at the Leiden University in the Netherlands through the International Student Exchange Program(ISEP). She also did an internship at the University Museum. 2013 Cassandra Canada– Summer Internship at the Smithsonian Institution, National Air and Space Museum. She also attended in Baltimore, as an invitation from the Smithsonian, The Annual Meeting and Museum Expo by the American Alliance of Museums. 2013 Whitney Jacobs–2 internships at 2 Los Angeles (CA)Museums: Anthropology Department of the San Bernardino County Museum(SBCM), and the Gilb Museum of Arcadia Heritage. She also attended a volunteer orientation at the Natural History Museum.In 2014. Whitney Jacobs graduated from the NMSU Museum Conservation Program in Fall 2013 and is one of two Americans to be accepted in the next cohort of the Erasmus Mundus Master’s Program (European Community Action Scheme for the Mobility of University Students). She was one of only 25 non-European students accepted this year and the only one who won the scholarship. Jacobs studied a Masters in Archaeological Materials Science for the Study and Conservation of Cultural Heritage Materials. She graduated in 2016. The Erasmus Program, one of the most prestigious programs in the world, was created by the European Union (EU) in 1987 to foster educational exchanges within the EU. The Erasmus Mundus program is open to non-Europeans. Jacobs spent two years in Europe while attending three universities: The Universidade de Évora (Portugal), Sapienza Universitadi Roma (Rome, Italy) and Aristotle University of Thessaloniki (Greece). She was also accepted at the University of Lincoln, UK, for the MA Conservation of Historic Objects. 2013 Lyndy Bush– Internship at the Smithsonian Institute, National Museum of Natural History (Botany Department). 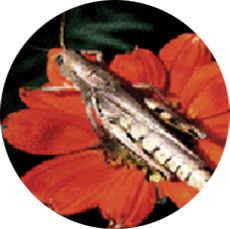 Restoring their 1,000 herbarium specimens that are dried on paper. They have water damage after hurricane Sandy and they are molding. She worked under a paper conservator. The Smithsonian will hire her for this job if they get a grant. She was also awarded $1,500 from the Stockman Scholarship. 2012–Internship at the Museum of Nature and Sciencein Las Cruces restoring dinosaur tracks. Currently working with the large Japanese collection (over 3,000 items) donated to the city of Las Cruces. Cataloguing and organizing the collection. Currently working as Conservator Technician at Colorado Art Restorationin Dallas, CO.
2013 – Kate Moorehead– working at Buffalo Gap Historic Village, Abilene, TX. As a curator. 2012 to Present – Capri Price– Currently working as Teaching & Research Assistant atPortland University, (OR), 2011-Lab Intern. 2011– Georgia O’Keefe Museum, worked as technical conservator. 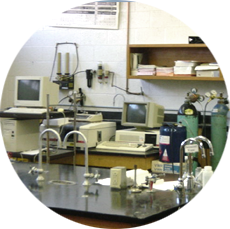 Fall semester 2011:Internship with a Material Science/Conservation Science Lab in Portland University, (OR). Master’s degree and a PhD in Conservation Sciencein Portland University, OR. Asummer at SACI, Florence (Italy )for a Joint Summer School experience. The other universities were Maryland Institute College of Art(MICA)and Florida State University (FSU). 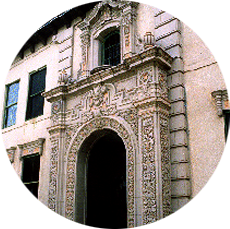 2010 – She worked for a conservation project at J.P.Taylor Monumentin Mesilla, NM and at NMSU Kent Hall Museum. She took an online class “Archeology of Pompeii (Italy): Preservation and Archeology” by Oxford University(UK). 2011 – Annette Rosillo– worked at the Border Patrol Museum,El Paso (TX).Studying at the History Graduate Program at Sam Houston State University, in Huntsville, (TX). 2011 – Samantha Womack– Interned at the Archaeological Research Instituteat Arizona State University. Researched and installed a Hohokam red-on-buff exhibit. She worked at the Institute of Historical Survey Foundation cataloguing and curating an exhibition on “Gaudy” Carnival Glass. 2011 – Christina Garton– Assistant editorHandwoven Magazine. 2011 Hilary Dutcher – internship at the Amerind Foundationin Dragoon, (AZ). 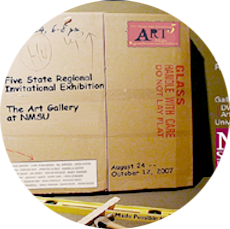 Join the “NMSU Museum Conservation Students” group on FACEBOOK !!! Check the new blog “Emerging Conservation Professionals Network” which is a forum for professionals that just entered the field of conservation or for students trying to get to graduate schools in conservation.